Many people don’t realize how beneficial salt really is. Yes, we use it to add some flavor to our food. But salt has so many more uses than that, specifically with our bodies. We simply can’t live without salt. Salt is composed of sodium chloride. Both of these elements are essentials for living a healthy life. Sodium is a fundamental mineral that helps control the body’s fluid balance, sends nerve impulses, and affects muscle function. Chloride works along with sodium to balance the acids and bases in your body. Chloride also aids in moving fluid in and out of your cells. Seeing how much salt does, special treatments involving salt have quickly been gaining popularity, and for a good reason. Halotherapy, also known as salt therapy, is a drug free treatment in which you breathe in miniscule salt particles. The salt particles will travel down into the sinuses and deep into the respiratory system, hydrating the tissues and cleaning them out. It becomes very easy to expel mucus and breathe normally again. Patients with asthma, bronchitis, allergies, and other breathing problem will benefit from this treatment immensely. This type of therapy has been around for centuries. It wasn’t even called salt therapy originally. It’s believed that Polish physician Feliks Boczkowleski first discovered just how beneficial salt really is back in 1843. Boczkowski noticed that salt mine workers didn’t have the same lung and respiratory problems that workers from other mines had. His theory of salt being beneficial to inhale was soon backed up by Dr. Karl Hermann Spannagel. Spannagel discovered that his patients’ health actually improved when they hid in salt calves during the Second World War. This is how the first version of salt therapy, speleotherapy, came to be. Speleotherapy is salt therapy, except done in an actual cave where all the walls and floors and covered in salt. 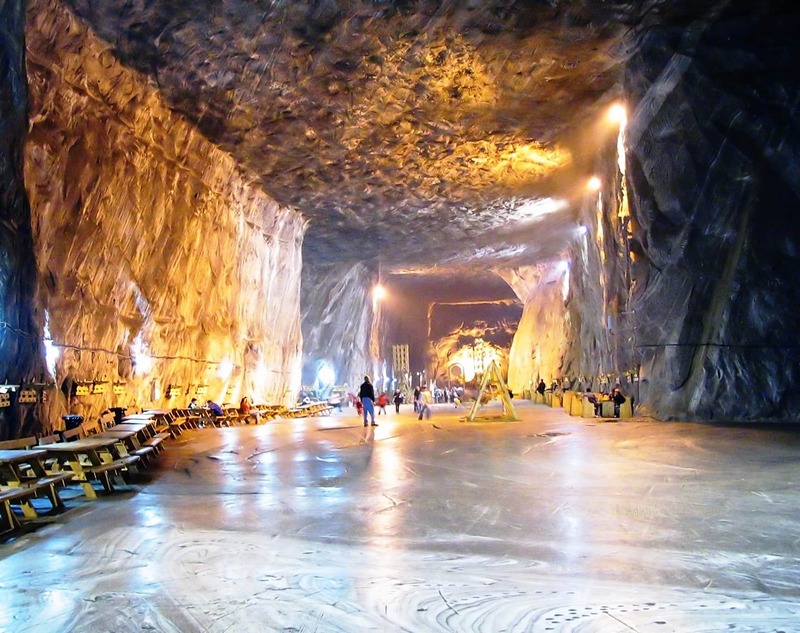 Sadly, many of these salt caves can only be found in Europe. With the help of modern technology, rooms and machines were invented that could easily imitate the surroundings of a salt cave without paying a fortune. That’s how halotherapy came into play. You may ask how greatly you can benefit from just breathing in some invisible salt particles. The answer is very greatly. Salt therapy covers just about everything. It doesn’t just help out your respiratory system. Once in your system, salt can stop the growth of bacteria and even kill them off. This makes it much more difficult for infections or viruses to spread around the body. You won’t have to suffer from illnesses as often and your body will become stronger than ever. Salt also consists of negative ions. Negative ions are what relax the body. They increase your mood and mental clarity and are often described as a natural anti-depressant. Some other benefits of negative ions include: normalizing breathing rate, decreasing blood pressure, relieving tension, and better sleep. That’s still not all. Salt therapy also shows that your skin benefits greatly from it. The particles of salt that reach the skin help repair it and stimulate cell growth as well. Salt also activates the ion channels, improving overall quality and appearance of it. Because of its anti-inflammatory properties, salt therapy can help with troublesome rashes like eczema. You’re getting all these amazing advantages just by breathing in salt. Like most good things in life, there’s always a catch. Not with salt therapy. Since it is natural, salt therapy comes with no added side effects and has no age range for who is able to do it. Even infants and the elderly can partake in it. It won’t get in the way of other medications being taken and because you don’t’ notice the salt particles, children who are usually squeamish with medication won’t even notice they’re undergoing the treatment. They can easily continue playing with their building blocks and building forts. As long as they’re in the same room as the salt machine, the job is being done. Salt therapy has the potential of improving overall life quality. With frequent use, you will soon see the change in yourself that most medications and vitamin supplements can’t give you. Being around for centuries, this is as natural as you can get. Salt therapy is non-invasive and there are no harmful side effects. Whether you choose to try a salt spa or purchase a salt machine, choosing to partake in this treatment doesn’t make a big dent in your wallet either. It’s time to see how much salt can really do for you, and have your body become stronger than ever before.